Christmas in Iceland is something else. This is the darkest time of the year, the time when you can frequently admire northern lights when the night sky is free of clouds. 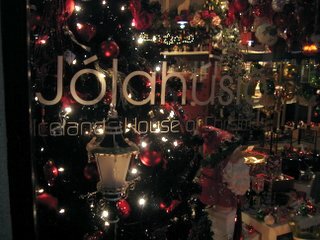 Iceland has a Christmas tradition all of its own. 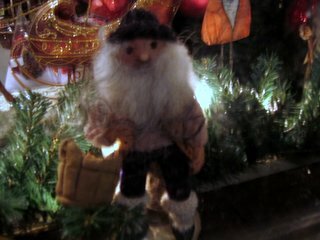 Santa Claus such as most of the Western world made his first appearance in Iceland as featured in advertisements from a famous brand of soda drinks, and now the white beard and red pajama is absolutely the thing to wear in December. Dont be deceived, though. Underneath the familiar ho-ho-ho appearance, a prankster is lurking. Read the story as it is still told to Icelandic children. The Icelandic tradition has it that a horrible hag called Grýla is living in the mountain. She feeds mostly on children who whine and fret, yet she will occasionally make do with the odd sheep or two. She has several sons, the Yuletide lads. Some say there are nine, other have counted thirteen. They are pranksters and thieves, a bad lot. During the Advent, they come down from the mountain, one a day, until Christmas Eve. Then they return one by one. Their father is a stupid troll called Leppalúði. The Yuletide lads take after both parents. One of them steals meat, another licks spoons, yet another is a peeping tom, and so on. They are not dressed in red velvet and white fur, and they are far too young to have a beard. They are uncouth and dirty, and they shame to the spirit of Christmas. 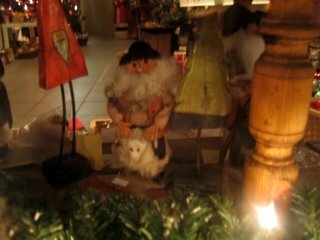 The pictures of the Icelandic Yuletide lads were taken in the Icelandic Christmas house near our home in down town Reykjavík. 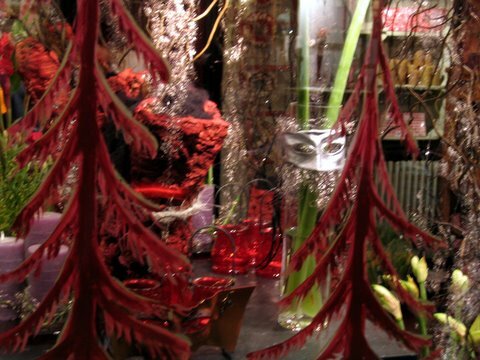 This is an unusual shop, selling Christmas decorations all year round. Christmas every day of the year, how does that sound? Which reminds me. During the dark ages, the days of old, children who did not wear something brand new on Christmas Eve were eaten by the Yuletide cat. Another thing, the cows and sheep penned in could talk like humans during Christmas Eve, and furthermore, they expressed themselves in rhymes, but the humans unlucky enough to hear them lost their minds, and no wonder. Well, Christmas was different back then. Something else altogether. In every Icelandic family, favorite cakes are baked for Christmas, at least they were in the good old days. We enjoy a whiff of dough baking in the oven in December and hereby present you with a sample of our favorite recipes. The half-moons are lovely cakes. They are easy to make, they look nice and they are delicious! Mix the butter with the flour, sugar and baking soda. Add the eggs and the cardamom drops and knead until the dough is smooth and even. Keep in the fridge overnight. Knead the dough and flatten it. Cut out round cookies using a glass, put a spot of your favorite jam on the middle of the cookie, close by folding over and fasten using a fork to press down the edges. Prune jam is lovely, and so is rhubarb jam or blueberry jam. This will make lovely half-moons. Bake at 200°C for about 10 minutes. Watch the cookies closely so you don't burn them! Soak the dry fruit in water (under 48°C) for 5 to 15 min. Grind the nuts in the grinder and put them in a bowl. Take the fruit out of the water, discard the water, grind the fruit in the grinder and put them in the bowl with the nuts and the grated orange rind. Knead the mixture thoroughly. Make small balls and roll them up in coconut flakes or ground nuts. Grind the nuts and figs in a grinder, then add other ingredients. You can control the doughs wetness by adding fruit juice. In Iceland, we have a variety of crumble called Marital Bliss, nothing less. Mix all ingredients thoroughly with a spatula (not the jam, though) until you obtain a thick dough. Put a little more than half of the dough into a buttered baking tray, pushing it down into the tray. Cover the dough with jam, and then toss the rest of the dough over the jam, not covering it, but rather spreading bits of it loosely over the jam. Bake for half an hour in a 170°C oven. The cake is left to cool off a bit before it is served. Tastes delicious. Whipped cream is brilliant with this cake. Most Icelanders eat traditional food for Christmas, in Iceland this is mostly smoked and boiled mutton, or else tiny ptarmigans. We vegetarians won't have any of that, so here comes the recipe of the Christmas Vegetarian Loaf. Place wheat in a bowl and pour on the boiling water and soy sauce. Cover and let swell for 25 minutes. Grind nuts and seeds to a medium fine consistency. Mix together with the wheat. Stir in parsley, thyme, onions, eggs and oil. Mix well and allow to stand. Oil a large baking sheet and line with grease proof paper. Form a loaf with the nut mixture, about 10cm wide, press firmly together and prick the top with a fork. Pour on a little oil and sprinkle with some extra nuts (optional) and cap loosely with a foil hood. Bake in oven 190°C for 40 minutes. Take off hood, baste with oil on baking sheet and bake for a further 10 minutes. Place in a large serving dish, then cool, easing off the paper as you do so. Cover with the hood until ready to garnish. Cook all the ingredients except the brandy together for about 20 minutes. Scrub potatoes in their skins and cut into four. Steam for ten minutes, then toss in olive oil, rosemary and crushed garlic. Place the potatoes on a warmed baking tray and roast in hot oven for 30 minutes at 190°C. Serve immediately, the outside should be crunchy.